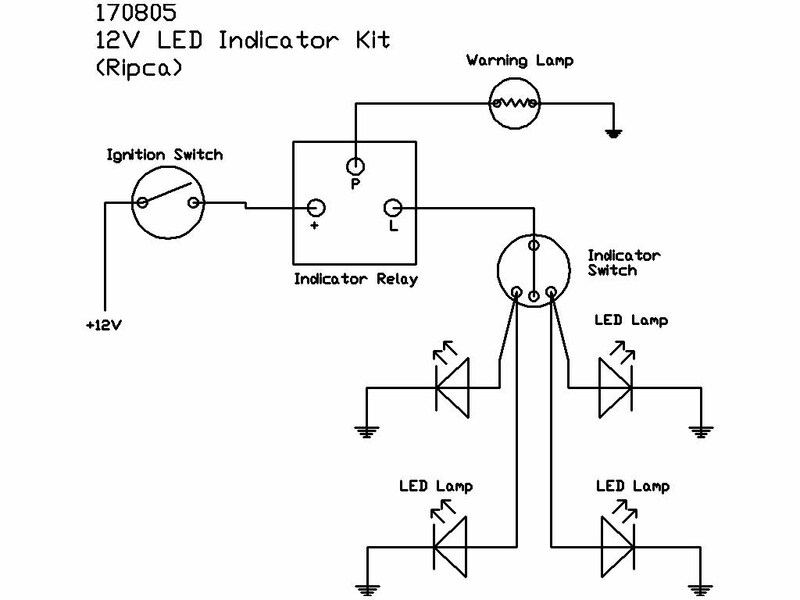 A complete kit of parts to enable you to fit indicators to any 12V vehicle (+ve or -ve earth). 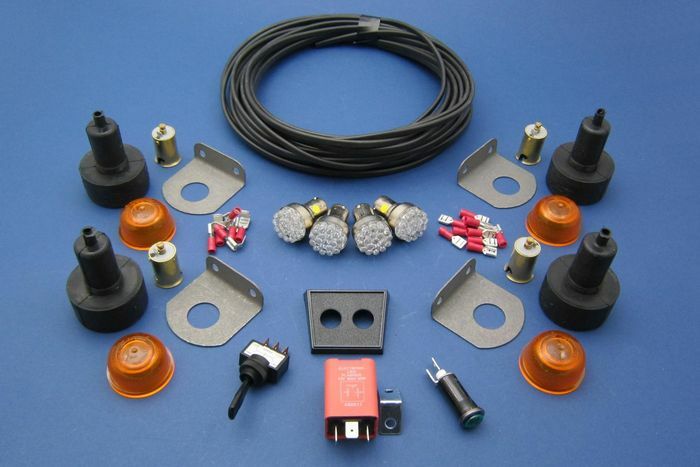 (When using on +ve earth vehicles, the lamps must have their own return back to the battery and not use the chassis as the return) Includes 4 x Rubbolite lamps fitted with LED bulbs, 20m twin core cable, flasher relay, dashboard switch, warning light and bracket, crimp terminals and wiring diagram. The power taken for this kit is only approximately 5W (0.3A), so it is ideal for cars with limited or no charging systems and the LED bulbs are extremely long-lasting.